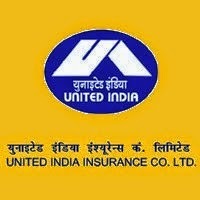 Friends, the United India Insurance Company Ltd, a leading Public Sector General Insurance Company wholly owned by Government of India is inviting online applications from eligible Indian citizens for filling up the posts of Administrative Officers in Generalist and Specialist disciplines for the year 2014. There are 323 vacancies in total (80 Specialist and 243 Generalist). You can apply online form 29th October 2014 to 18th November 2014. Check complete details below. Generalist - Graduate in any stream Finance - Chartered Accountant (ICAI)/Cost Accountant (ICWA)/MBA Finance* /M.Com/B.Com Automobile Engineering - B.E/B.Tech in Automobile Engineering OR Graduate in Mechanical Engineering with Diploma (at least one year duration) in Automobile Engineering Legal - Degree in law from a recognized University or any equivalent qualification recognized as such by Central Government.